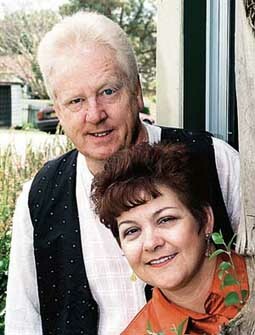 AFTER 30 years in the entertainment business CLAUDE and SHIRLENE HATTON will hang up their guitars and walk away after a farewell gig this Sunday afternoon at Wallsend Bowling Club from 2pm to 6pm. Claude said the couple was excited about having Friday and Saturday nights to themselves for a change, and the extra time to devote to their six grandchildren. THE HATTON DUO has invited musicians they have worked with in the past to join them on stage this Sunday for one last hurrah. They include PETER SNEDDON, who will sing country and tunes by JOHN FARNHAM as well as vocalist KATHY LANGBEIN. Members of early 1990s group THE SHINDIGGERS, which went on to become RADIO GA GA, may also make an appearance, as well as NODES LEVITY, which Claude fronted for five years in the early 1980s. Claude and Shirlene formed a duo in 1985 as a part-time project, their first musical collaboration, performing 'classics from the 1970s to the 1990s'. Daughters JULIA PRICE and CHRISTIE HATTON will also perform on the day, singing mostly contemporary tunes. Playing 'better than we ever have before', Claude thinks it ironic that work has dropped off over the years because 'agents are always looking for younger duos and younger acts'. 'I don't think the music has changed,' he said. '(Other duos) are even playing the same music now that we started playing 30 years ago.